Call in your reservations for our January 12 show with Fellswater to 401-725-9272. 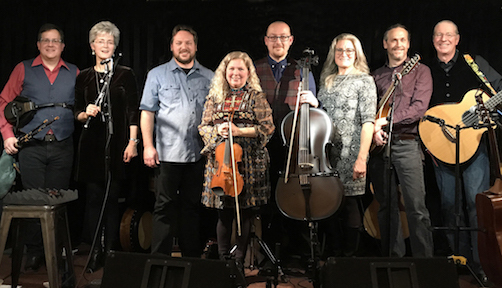 Fellswater is a dynamic Celtic music ensemble based out of Boston playing a wide range of music from traditional to modern compositions, drawing from the music of Scotland, Ireland, Brittany and Canada. Fellswater has delighted audiences at the New Hampshire Highland Games, Maine Highland Games, Colonial Williamsburg, the Royal Nova Scotia International Tattoo (2015), the Royal Edinburgh Military Tattoo, and Edinburgh Festival Fringe (2018). The band has released three well-received albums, "Fellswater," in 2010, "Thursday Night," in 2013 and "Skipping Stones" in 2018. Fellswater's show at Blackstone River Theatre will be filmed for future use by the band (excerpts only for professional videos; it will NOT be broadcast live.) We hope YOU can come out and be part of this exciting experience. The 8-piece band features David Cabral on cello, Kyle Forsthoff on bodhran and percussion, Elizabeth Ketudat on fiddle and Hardanger fiddle, Jim MacConduibh on acoustic bass guitar, Sarah MacConduibh on Irish flute, whistles and fife, Andrew McIntosh on Scottish smallpipes and border pipes, Chris Myers on vocals, guitar, and octave mandolin and Diane Myers on vocals. NEON VALLEY BOYS – YES! The show is on! YES THE SHOW WILL GO ON TONIGHT! We will end by 10:15 PM at the latest! Call in your reservations for our January 19 show with The Neon Valley Boys to 401-725-9272. ONLY 20 LEFT AS OF 3:15 P.M. The Neon Valley Boys will reunite 40 years after making a huge splash on the New England Bluegrass scene in the '70s and '80s. 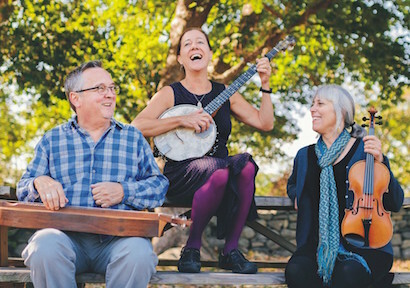 Returning to the Blackstone River Theatre for the first time since 2004, they will revisit their bluegrass hits and unique brand of hilarity in an evening of incredible picking and grinning. Even after forty years, they are still speaking to each other and are as nimble as ever at presenting original and classic bluegrass favorites. It promises to be an evening of toe tapping, laughter, and memories as one of the area’s favorite bands. This progressive bluegrass band was formed in Providence in the late 1970s. The Neon Valley Boys is comprised of Mike Bresler (mandolin), Eddie Stern (banjo), Jeffrey Horton (bass), Karl Dennis (fiddle) and Paul Mellyn (guitar). Mike, Ed, Karl and Jeff were original members of the group when it was formed in the late 70’s. Paul later replaced Ray “Wyatt” Lema. The “Neons” played continuously until 1986, touring throughout New England and beyond. They were regulars at The Met Café, played the first seven years of the Cajun and Bluegrass Festival, and performed at many other local and regional venues. All have continued to be close friends and share a fan base which lasts even until today. Don't miss an incredible evening of music, laughs and memories! Call in your reservations for our January 26 show with Kim Trusty and Kerri Powers to 401-725-9272. Kim Trusty hails from Media, Pennsylvania. 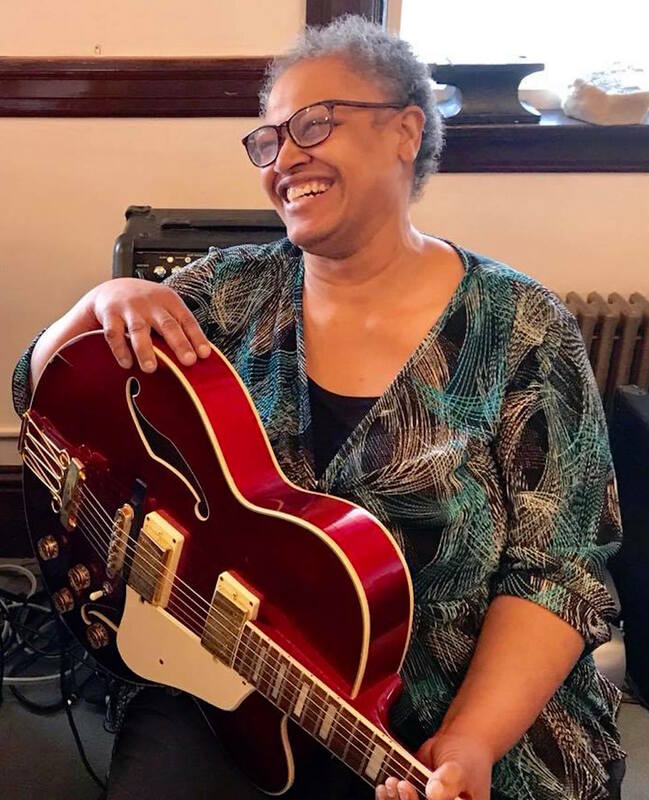 Her foray into songwriting started at a young age and eventually brought her to New England to study songwriting at the Berklee College of Music in Boston, Mass., where she was referred to as “the girl with the golden voice.” She has spent the last three decades residing in Providence, refining her musical skills, crafting and branding her own style of Jazz, R&B, Blues and original music. She has performed as an actress playing the role of Rosue in When Mahalia Sings from 2010-2012. She is currently is working with a screenwriter to tell her amazing story as a black lesbian artist, educator, stroke and cancer survivor. Through it all, Kim has carried on, rising from each fall a little stronger to bring us music that inspires and heals. Call in your reservations for our February 2 show with Quinn Bachand's Brishen to 401-725-9272. Brishen, Romany for ‘bringer of the storm,’ is what Quinn Bachand, one of Canada’s most outstanding young musicians, and his band serve up with their original western and euro-gypsy swing homage. With a tight grasp on the music that embraces the swing tradition, Quinn Bachand’s Brishen takes audiences on an inventive journey which, through its technical virtuosity, brings together a range of musical history to reinvent the categories of swing jazz, pop and country, celebrating the music of the ‘30s up to and including the ‘60s. 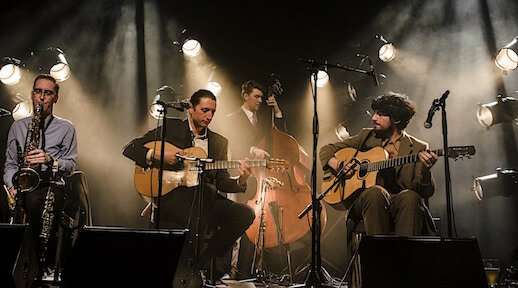 Brishen creates a space where virtuosity meets vibe, leaving audiences with a sense of jubilant nostalgia as they give new life to the music of Bob Wills, Charlie Christian, Django Reinhardt and many more. Quinn Bachand, 23, who is a Berklee Presidential Scholar, is Winner 2018 Independent Music Awards (Jazz Song with Vocals), has been nominated for 5 Canadian Folk Music Awards and for 2 Western Canadian Music Awards (Jazz Artist of the Year) and is a Saga Djangofest Award Winner. Acclaimed American jazz and bluegrass violinist and roots music expert Matt Glaser says: “Welcome to the visionary musical world of Quinn Bachand. I was flabbergasted when I put on this recording for the first time, and you will be too, as you take a journey into the wild imagination of Quinn ... sit back, enjoy and let this amazing music wash over you." Call in your reservations for our February 9 show with Yacouba Diabate and the Chris Monti Trio to 401-725-9272. 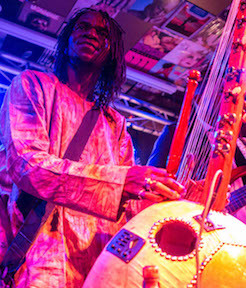 Yacouba Diabate is a master Kora player born in Burkina Faso, West Africa. His family, the Griot family, is well-known as musicians and as a young adult, Yacouba studied the Kora in Mali with renown Kora master, Toumani Diabate. Yacouba has brought his music to France, Italy, Germany, Spain, and Belgium as well as the United States. Yacouba also makes and sells traditional African string and percussion instruments in addition to teaching instrumental music to both youth and adults. In the past, Yacouba has performed for several world leaders at the United Nations in New York City. He made an incredible impression on those of us at his Blackstone River Theatre debut at November's Homecoming Concert. Don't miss an amazing musician playing this most beautiful of instruments! Chris Monti is a singer/songwriter, guitarist and harmonica player whose original songs are influenced by Rock and Roll and Country-Blues as well as music from West Africa, Egypt and India. 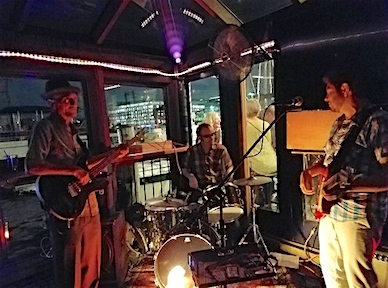 The Chris Monti Trio features bassist Theo Regan and drummer Matt McLaren and they play West African Music and West African-inspired songs. Chris and Matt learned many of these songs playing in the Double Decker Dance Band from band leader, singer guitarist, bassman and drummer Joe Paye, of Liberia. You'll hear Soka, Highlife, and Soukous beats. Chris has toured the East Coast, opening many times for country-blues great Paul Geremia, and has also played with Sierra Leone’s Refugee All Stars. Call in your reservations for our February 16 show with Mari Black and Cory Pesaturo to 401-725-9272. 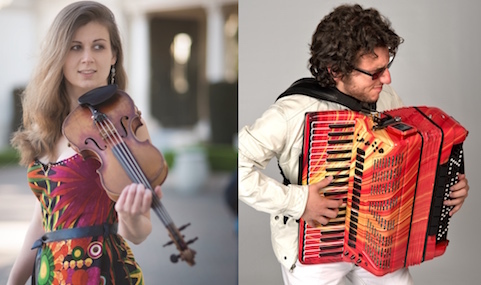 Get ready for an unforgettable night of music as fiddler Mari Black and accordionist Cory Pesaturo team up to present a dynamic exploration of improvisation-driven music from around the globe. You'll be on the edge of your seat as this stunningly virtuosic duo spins together a magical journey featuring rhythmic jazz tunes, fiery klezmer horas, passionate tangos, playful American rags, driving Celtic reels, and more! Called “One of the brightest fiddlers around today” by WGBH radio host Brian O’Donovan, multistyle violinist and champion fiddler Mari Black has been delighting audiences around the world with her energetic playing, sparkling stage presence, and dazzlingly virtuosic fiddling. Mari made her entrance onto the international stage when she became Scotland’s Glenfiddich Fiddle Champion, 2-time U.S. National Scottish Fiddle Champion, and 2-time Canadian Maritime Fiddle champion, all within a three-year period. Three-time world accordion champion and Rhode Island native Cory Pesaturo is on the forefront of the accordion world, pushing the boundaries of what is possible on the accordion. 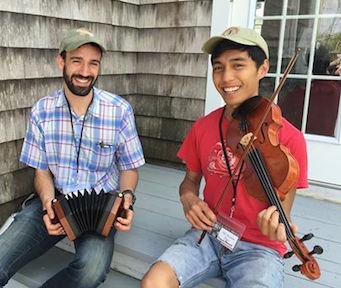 Cory is the only person to ever win a World Championship on Acoustic, Digital And Jazz Accordion, and the only accordion graduate of the prestigious New England Conservatory of Music in Boston, Mass. In 2017, Cory became a Guinness World Record Holder, as RedBull® flew him to Austria to break the Marathon Accordion Record, in which he played for over 32 hours. Cory’s main contribution is his visionary thinking of how the accordion should be used, played, taught, and presented in modern music. This vision led him to give a TED talk, develop his own electric accordion, and make the first ever skinned accordion which includes a symmetric lighting system attached to the keys. Call in your reservations for our February 23 show with The Gnomes to 401-725-9272. The Gnomes special brand of World-Folk-Fusion always gets an audience on their feet and dancing! The band features Phil Edmonds, Cathy Clasper-Torch, Mike Fischman, Peter Breen, and Matt Demick. Together they combine their varied musical backgrounds into arrangements that have been described as "exotic, fresh, and unique." Instrumentation includes fiddle, Irish whistles, er-hu, accordion, guitar, mandolin, bass, percussion, keyboard, and vocals. 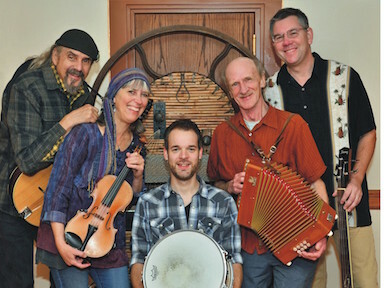 Their spirited music takes you around the world, encompassing Celtic, klezmer, Scandinavian, Carribean, Asian and Latin styles. There will be a short set before The Gnomes play their second set by The Broad Street Fiddlers led by Cathy Clasper-Torch! Always a great time! Call in your reservations for our February 24 show with L’Esperance Mandolin Ensemble to 401-725-9272. Rhode Island’s L’Esperance Mandolin Ensemble is proud to announce the release of their new CD, Uisge Beatha – "Water of Life,” featuring tunes from Celtic and British folk traditions. For centuries composers have incorporated folk tunes into their own music. Byrd and Beethoven, Vivaldi and Dvorak, Grieg and Grainger, and contemporary composers like Steven Antonelli, Michael Mayerfeld Bell, and Jim Dalton, who appear on this CD, have all drawn from traditional melodies for inspiration for their music. 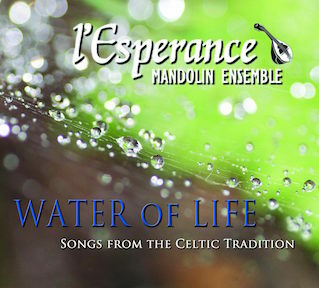 With “Water of Life," L’Esperance Mandolin Ensemble celebrates that intersection between traditional and classical music. As lovers of both the energy and passion of traditional music and the rich harmonic and rhythmic potential of classical music, L’Esperance showcases music from folk revivals going back hundreds of years and into the present. 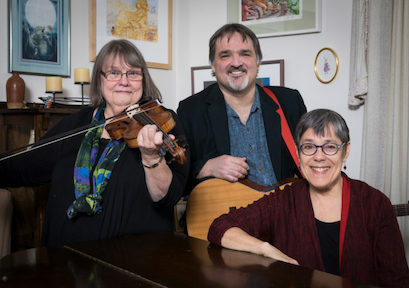 L'Esperance features almost 30 musicians of different backgrounds and ages from the Cape Cod area, Rhode Island and Connecticut, who come together to enjoy the pleasure of making music with each other. Since 1994, L'Esperance has been sharing that joy with audiences around New England. Director of L'Esperance Mandolin Ensemble, Joshua Bell, was named the Concertmaster of the Providence Mandolin Orchestra in 1979. He has played with the North American Mandolin Ensemble, The American Mandolin and Guitar Orchestra, the Classical Mandolin Society of America. IRISH MUSIC STORIES LIVE – Shannon Heaton with George Keith, Joey Abarta, and Matt Heaton - THE SHOW IS ON! TONIGHT'S SHOW WILL GO ON AS PLANNED! Call in your reservations for our March 2 show with Shannon Heaton & Friends to 401-725-9272. Equal parts concert and culture show, Shannon Heaton’s solo multi-media show tells universal stories through an Irish music lens. With flute, voice, and pre-recorded stories and sound design, IRISH MUSIC STORIES LIVE is an onstage extension of Heaton's acclaimed Irish Music Stories Podcast. And to round out her tour of kitchens, pubs, and Irish dance halls, Heaton welcomes fiddle player George Keith, uilleann piper Joey Abarta, and bouzouki/guitar player Matt Heaton to perform in the second set. "Creative, informative and entertaining. And her playing was masterful and expressive. A very complete one-person show.” - Marty Somberg. Call in your reservations for our March 10 show with Heron Valley to 401-725-9272. Heron Valley are an energetic, young traditional band from Scotland who have serious enthusiasm for the music they play. Their roots lie in Scottish and Irish traditional music, while taking influence from various Folk, Country and Bluegrass styles. 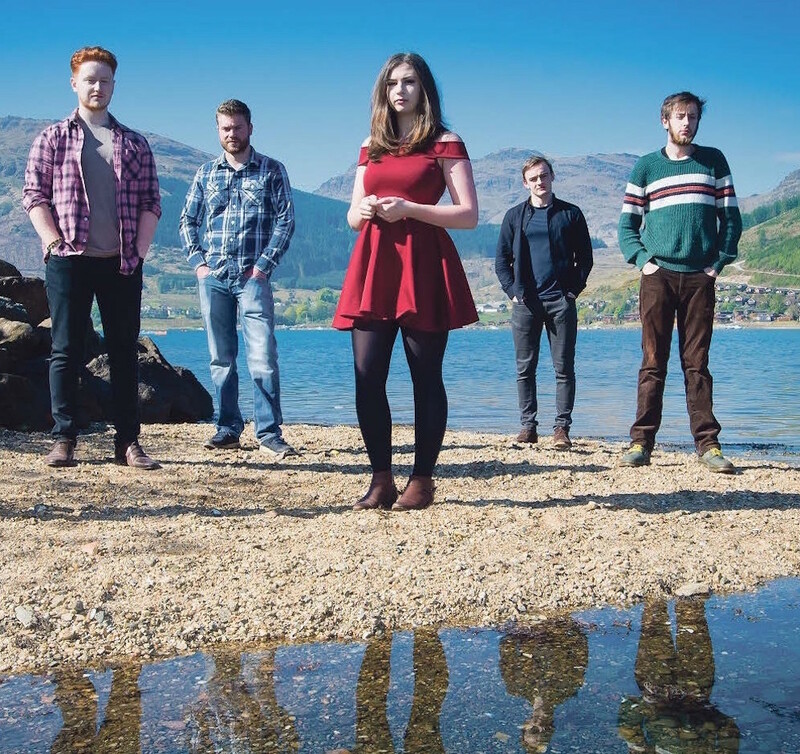 The five-piece group features piper/whistle player Kyle Howie, banjo player/percussionist Nick Hamilton, pianist Keith Morrison, fiddler/vocalist Abigail Pryde and guitarist/ bassist Callum Cronin. Since their inception in 2014, Heron Valley have always ensured that they are conveying the highest amount of energy they have to every crowd they play to, ensuring that audiences who see them live have a fantastic experience. Heron Valley released their debut album, "Roam," in May, 2017. Call in your reservations for our March 16 show with Le Vent du Nord to 401-725-9272. Seventeen years after its inception, the award-winning and highly acclaimed band Le Vent du Nord has increased in size from a quartet to a quintet! 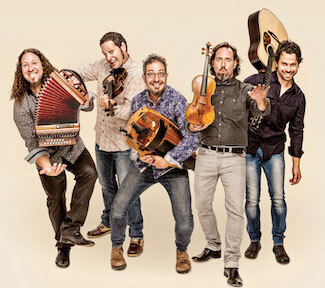 Fiddler André Brunet (Celtic Fiddle Festival, La Bottine Souriante) has joined this world renowned ensemble along with Simon Beaudry (vocals, bouzouki, guitar), Nicolas Boulerice (vocals, hurdy-gurdy, piano), Olivier Demers (fiddle, guitar, foot-tapping, mandolin), and Réjean Brunet (basses, accordion, jaw harp, vocals). Making their Blackstone River Theatre debut, Le Vent du Nord is a leading force in Quebec’s progressive francophone folk movement and an iconic name in Quebec’s traditional music revival. The group’s vast repertoire draws from both traditional sources and original compositions, while enhancing it’s hard-driving soulful music with a broad range of global influences. Le Vent du Nord has performed well over 1,800 concerts over 5 continents and racked up several prestigious awards, including a Grand Prix du Disque Charles Cros, two Junos (Canada’s Grammys), and a CFMA & “Artist of the Year” at the North American Folk Alliance Annual Gala. Purchase tickets online or call in your reservations for our March 24, 4 PM show with Lunasa to 401-725-9272. Named for a Celtic harvest festival in honor of the Irish god Lugh, patron of the arts, Lúnasa is indeed a gathering of some of the top musical talents in Ireland. For 20 years, its members have formed the backbone of some of the greatest Irish groups of the decade. Bassist Trevor Hutchinson was a key member of The Waterboys. Kevin Crawford, considered to be among the finest flutists in Ireland, played with Moving Cloud and piper Cillian Vallely comes from the same talented musical family as brother Niall, of Buille and the Karan Casey Band. Dynamic guitarist Ed Boyd is joined by fiddler Colin Farrell whose 2015 CD "Make A Note" was awarded Instrumental Album of the year by LiveIreland. 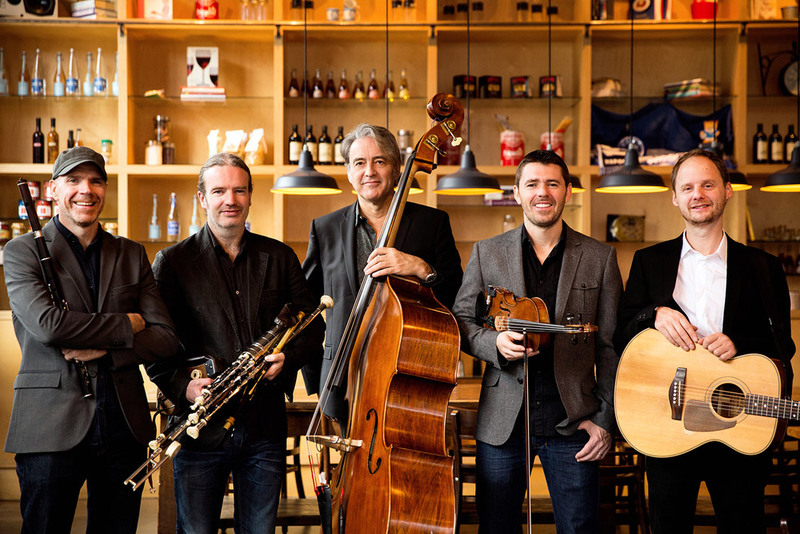 Inspired by the legendary Irish group The Bothy Band, Lúnasa uses melodic interweaving of wind and string instruments pairing flutes, fiddle, whistle and pipes in breathtaking arrangements. They are universally acclaimed as one of the best Irish bands in the world. Purchase tickets online or call in your reservations for our March 24, 8 PM show with Lunasa to 401-725-9272. 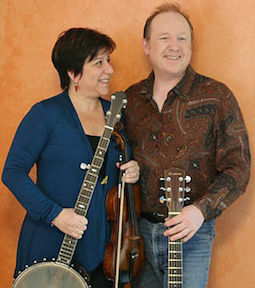 Call in your reservations for our March 30 show with Jane Rothfield and Allan Carr and The Vox Hunters to 401-725-9272. Call in your reservations for our April 6 show with 3 Ravens to 401-725-9272. This new trio crafts an evening out of originals, instrumentals and traditional songs. Harmonies blend three strong voices, paring down to just one when the story shifts shape. Donna’s fiddling morphs from light to dark, while Lui’s piano, banjo and ukulele converse fluently with Max’s guitar. Donna Hébert is a cultural treasure, a Franco-American fiddler and composer three-times documented in Smithsonian collections. 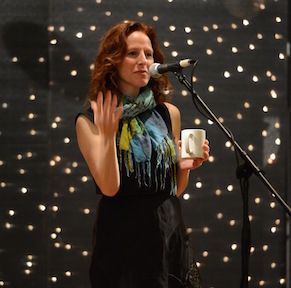 Recognized in 2009 for “outstanding artistic achievement” by Massachusetts Governor Deval Patrick, Donna founded and directs yearly participatory children’s performances at Old Songs and Philadelphia Folk Festivals and has appeared at Blackstone River Theatre with Chanterelle, the Panache Quartet, and Mist Covered Mountains. Donna has earned eight appointments as a master fiddler in the National Endowment’s Master-Apprenticeship program. Folk singer / songwriter Lui Collins has been on the scene for over 40 years, earning international acclaim for her music. The Boston Herald called Collins “a folksinger for our times” and the Boston Globe adds “one of New England’s first and brightest stars.” An accomplished guitarist, Max Cohen balances tremendous sensitivity with driving rhythmic power. Known for his work with Priscilla Herdman, Max is one of those rare guitarists able to create an atmosphere that supports and cradles vocals with both tenderness and strength. DOUGIE MacLEAN – SOLD OUT! Our April 8, 2019 show with Dougie MacLean is SOLD OUT! Thank you! 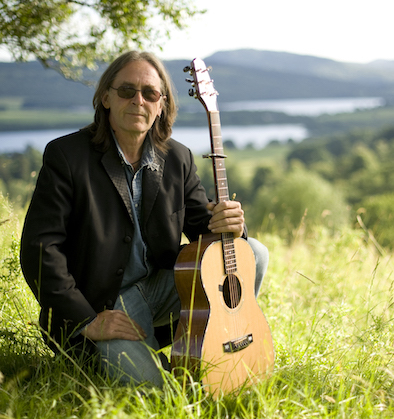 Dougie MacLean is considered by many to be Scotland's pre-eminent singer-songwriter and is certainly one of the country's greatest musical treasures. Dougie received a Lifetime Achievement Award for Songwriting at the BBC 2 Folk Awards in 2013. 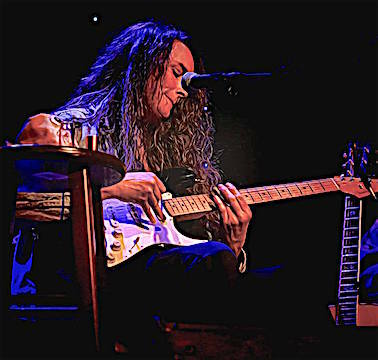 From his home base in Butterstone near Dunkeld, Scotland, MacLean tours the world with his unique blend of lyrical, 'roots based' songwriting and instrumental composition. He has built an international reputation as songwriter, composer and extraordinary performer which has led to concerts and festivals worldwide including New York's Carnegie Hall. Dougie's songs have been covered by hosts of artists and his "Caledonia" has become one of Scotland's most popular contemporary songs. His music has been used in Hollywood films ("Last of the Mohicans") and he has been the subject of three BBC TV music-documentaries. Described as " ...a musical hero" (Wall Street Journal) MacLean is renowned for his meaningful, haunting and emotion-filled music. His innovative work has created a modern interpretation of this music but its fundamental values remain rooted in the ancient Scots culture. We are thrilled to welcome Dougie back ... this show WILL sell out so reserve your tickets early! Call in your reservations for our April 13 show with The Atwater~Donnelly Trio to 401-725-9272.